Calorie consumption is the most important variable when it comes to weight gain and weight loss. For example, if you eat more calories than your body needs to maintain its weight, then you will gain weight. On the other hand, when you eat fewer calories than your body needs to maintain its weight, you will lose weight. Whether you meet your goals or not depends on how often you are in a calorie deficit (eating fewer calories than you need to maintain your weight) vs. a calorie surplus (eating more than maintenance calories). The calories you eat come from macronutrients. Macronutrients are simply substances that are required in relatively large amounts by living organisms. The macronutrients that make up the bulk of our calories are fat, protein, and carbs. By manipulating how much of each macronutrient you eat (e.g., eating a high-fat, low-carb diet instead of a low-fat, high-carb diet), you can improve various aspects of your health from muscle mass maintenance to disease prevention to mental well-being. When it comes to weight loss, however, you cannot escape the fact the calories matter. Changing the ratios of macronutrients you eat can help you lose weight indirectly, but, in general, as long as you are eating more calories than your body needs to maintain its weight, you will gain weight. 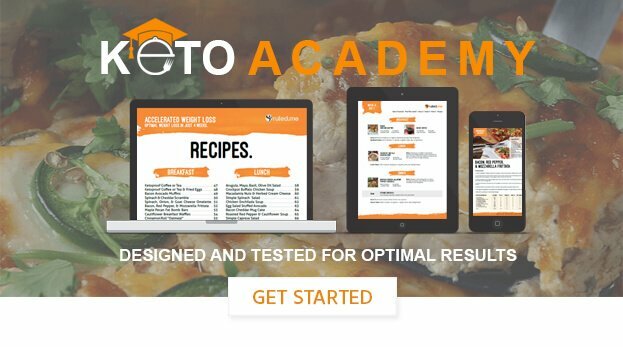 To find out how many calories you should eat to meet your goals, consider putting your information into our keto calculator. It will tell you exactly how many calories you should eat to meet your goals, as well as how many grams of each macronutrient you should be consuming on a daily basis. For a more in-depth look at calories and why they matter, click here.